I thought that my previous post would be my last for this year, but here I’ve got another one! I will still end this year in the cloud, but instead of in Windows Azure it will now be in Windows Intune! The new release. 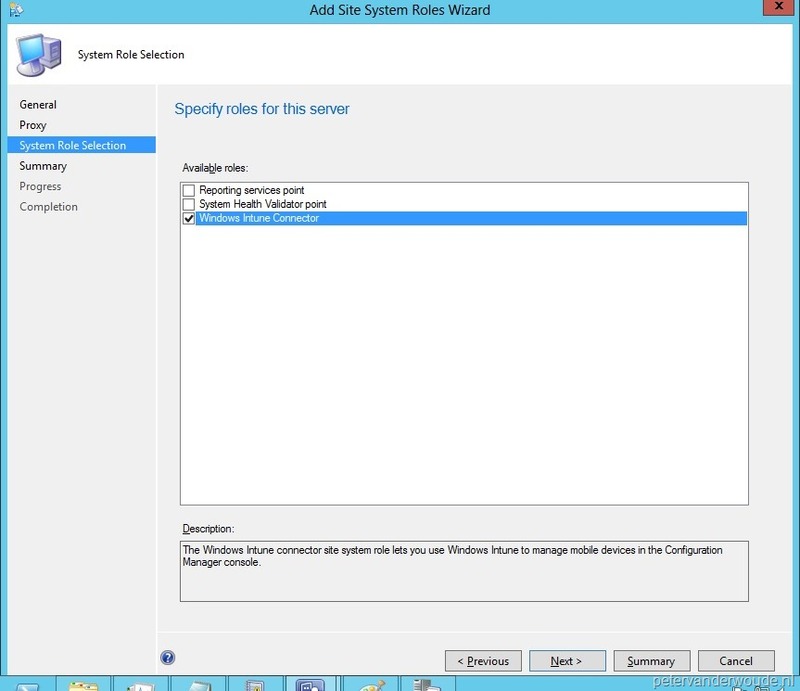 Wave “D”, of Windows Intune in combination with ConfigMgr 2012 SP1 will now allow us to create a connector between these two worlds and in this small post I will show the basic steps for this. 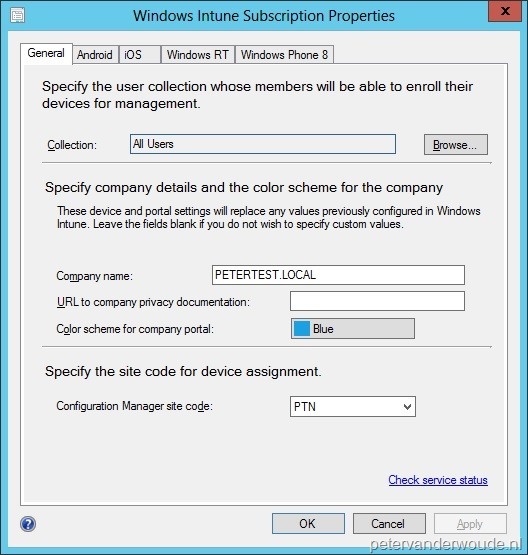 Create a Windows Intune subscription. (Optional) Create a APNs certificate for iOS. (Optional) Request/Buy a Windows Phone 8 Code Signing certificate. (Optional) Create a and code-sign the the Windows Phone 8 Company Portal App. The configuration consists of two parts. Part one is to setup a Windows Intune Subscription and part two is to setup the Windows Intune Connector. On the Subscription page, Sign In to Windows Intune, select Allow the Configuration Manager console to manage this subscription and click Next. On the General page, Browse to <aUserCollection>, specify the company details and the color scheme for the company portal, select the Configuration Manager site code and click Next. On the Platforms page, select the enabled platforms (can also be configured later) and click Next. (Optional) On the Windows RT page, Browse to a Code signing certificate, Add a Sideloading key and click Next. (Optional) On the Windows Phone 8 page, Browse to a Code-signing certificate, Browse to a Company portal app and click Next. (Optional) On the iOS page, Browse to a APNs certificate and click Next. As always I like to show the results, and as always there are lots of things to show, but there is nothing better then a nice screenshot that shows the integration. Then I still have multiple choices, but I think the one of the Mobile Device Management page in Windows Intune says the most. 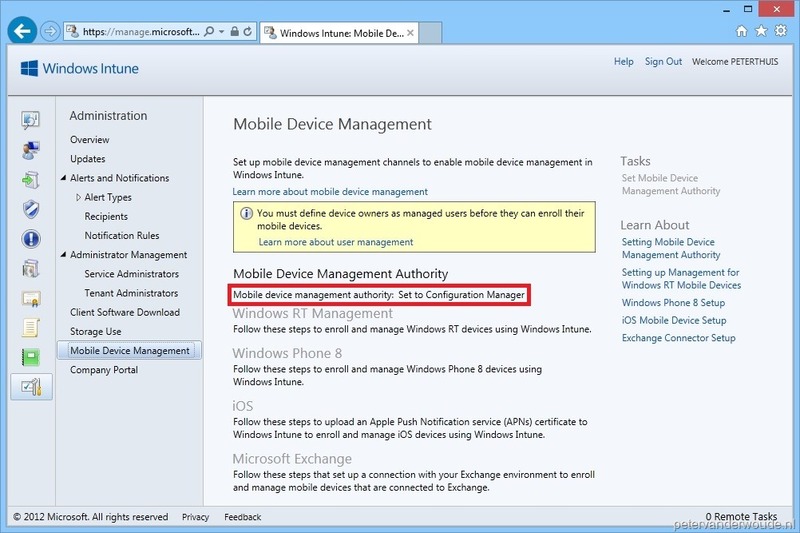 As I selected Allow the Configuration Manager console to manage this subscription during the integration it will now show Mobile device management authority: Set to Configuration Manager.